World War II games are a bit like…marmite. And if you don’t know what marmite is, then just think of some horrible, sticky brown stuff that people call a "food spread" — can you tell I’m in the hate crowd? It seems that without absolute doubt, we eat up every single big budget WWII shooter that is flung our way, despite how good or bad it tastes. For some reason, the genre has something that captures gamers. It has guns, a story, explosions, heroes, villains — it’s war, something that runs deep in our blood. I must admit, I wasn’t too surprised to see the most recent Call of Duty hit the high sales. But, to be honest, a big part of me is adamant that the success of World at War is purely to do with Call of Duty 4. If Infinity Ward (developers of the original, its sequel, number 4, and the inevitable CoD6) didn’t take us all into a completely fictitious near-future scenario of modern warfare, then the latest Call of Duty would not have succeeded. As much as the brand was strong to begin with, it is now stronger due to the efforts of Infinity Ward in the multiplayer department of CoD4. Had the multiplayer not encapsulated so many players, then I’m sure Activision would be, at this time, labeling World at War a financial failure. I believe that it is wrong to think otherwise. While I am NOT saying that CoD:WaW is a bad game, I am most certainly saying that Treyarch (developers of CoD3 and World at War) really need to up their game and be more adventurous. Infinity Ward effectively managed to save the World War II genre by creating a game outside of the genre. What Treyarch must do now is move the inevitable CoD7 towards some untapped war. And no, that doesn’t mean that they should find some other WWII niche. 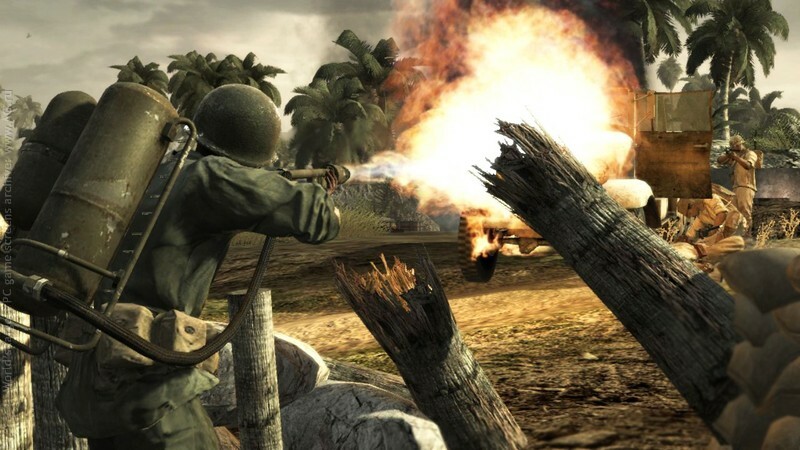 To be honest, before CoD5 was known as World at War, I genuinely believed Vietnam would be the next stop. But perhaps Vietnam is too grim a subject for a developer who has, so far, over-sensationalized the American campaign in both of their next-generation Call of Duty games. But seriously, the days of World War II in video games are behind us. The Battlefield series moved on, we’ve not seen a new Commandos in some time, Medal of Honor is dying and Wolfenstein, well, it can get away with it for the sake of nostalgia…and for being a wee bit sci-fi. The only (kinda) historically accurate WWII series that I believe to still be viable, is a strategy game — Company of Heroes. And even then, do you think that the series will stay in the WWII genre forever? Time is running out for WWII games. The shooter genre has done it to death and the strategy genre is on the brink of doing it to death; what have we got left? WWII RPG? 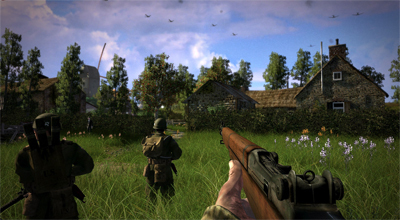 A high-budget WWII MMO? A WWII racing game? A WWII game where you lure soldiers into your garden, romance them, send them off to war when asked, separate the Nazis and the Allies with a fence because they keep fighting…"Viva La Resistance," maybe? Okay, two of those ideas are good. But, a World War II RPG doesn’t really sound that thrilling and there already is a World War II MMO out there in the form of World War II Online. Effectively, what I am saying here is that Activision would be stupid to sanction another Call of Duty set in World War II. Gamers have been fed up with it for a few years now, and while World at War did something slightly different with the Pacific scene, it’s not a big change. Hopefully the message will be loud and clear given the failure of the latest Brothers in Arms: gamers are fed up of World War II, so just do something else. So if you’re fed up of fighting in Nazi Germany, then don’t moan about it in the comments to some review of a World War II game — just don’t buy it. Your wallet (or lack thereof) will speak more to the executives who sanction these games than your words will. ← BITMAPS 54: Can Difficult Games Still Be Fun?